Hi! We’re Hannah & Craig, the owners of Get The Picture. Welcome to our website. We hope the following information is of use to you! 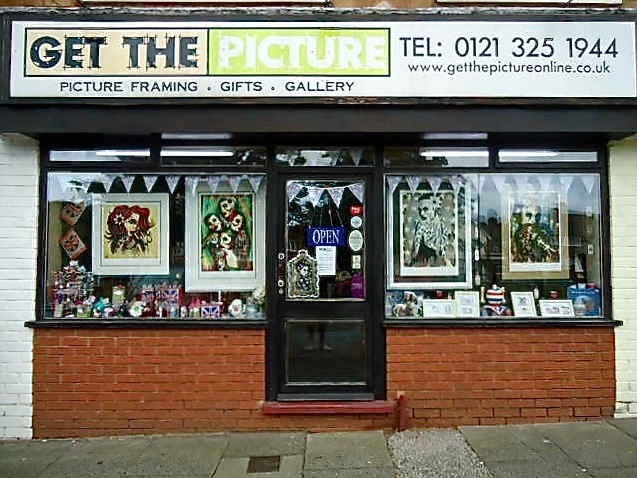 Here at Get The Picture we offer a wealth of experience and knowledge on all aspects of picture framing and all work is produced in our fully equipped in-house workshop. 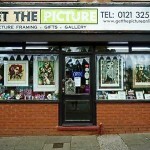 We take the up most care with every item we frame and all our work is 100% guaranteed. As a small business, we pride ourselves on a personal service and over the past 11 years have built up a good rapour with the local community and surrounding businesses. We are more than happy to spend time with our customers offering friendly help and advice in a relaxed informal atmosphere, ask us for a cuppa & we’ll happily put the kettle on. We also understand that choosing a frame is a personal choice, if you can’t see what you’re looking for; we’ll do our best to find it. All this, as well as been incredibly competitive on price is why our customers choose us over our local competitors. Because we are a hard working team & dedicated to the future success of our shop, no job is too big or small to undertake, from cutting a single mount to volume corporate framing, every job is done to the highest possible standard and we pride ourselves on the quality of our work. Even if we’re closed, we’ll always open the door to a customer, and with ample free parking right outside, a free local delivery service and the chance to meet Charlie (the golden retriever), we think we have everything pretty much covered!